The deadline for voter registration is approaching ahead of the local elections next month. 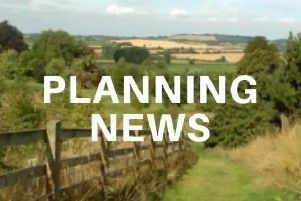 As well as the county council elections, residents of Daventry district will vote in the by-election for the Long Buckby ward seat on the district council, vacated by Councillor Diana Osborne, on May 4. The persons nominated for the ward seat are Ian Dexter (UKIP), Neil Farmer (Lib Dems), Tom Harper (Green), Malcolm Longley (Conservative) and Sue Myers (Labour). The deadline for registering to vote in time for the elections is this Thursday, April 13. The quickest and easiest way to register to vote is to apply online at www.gov.uk/registertovote. The deadline to apply for a postal vote 5pm on Tuesday, April 18. To vote by post you must be 18 or over, be on the electoral register and need to complete and return their postal vote application to Daventry District Council’s electoral registration officer. Postal vote packs will start hitting doormats in Daventry District over the next couple of weeks from April 13 onwards and must to be sent back to arrive by close of poll, which is 10pm on election day, May 4. To cast a vote by proxy people need to complete an application form and also return it to the Council’s electoral registration officer by 5pm on Tuesday, April 25. If an elector falls ill or is called away on business after this date they may be able to apply for an emergency proxy vote up to 5pm on Thursday, May 4. To register to vote or apply for a postal or proxy vote contact Daventry District Council on 01327 871100 or email electoralservices@daventrydc.gov.uk.